SAP activity type is the classification of activities that are produced in cost centers in a controlling area. It is an organization unit within a controlling area. 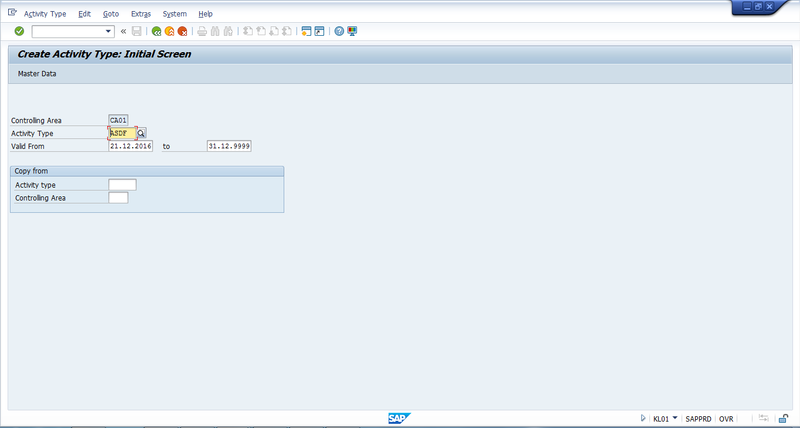 SAP activity types are used to allocate internal activities cost which are incurred by specific cost center. In other words, it identifies the activities or work that has to be done by an organization for one or several cost centers. SAP activity types are planned and allocated by recording the quantities which are measured in units known as activity units. These units are valuated using an allocation price. The calculation of the prices can be done using actual cost or planned cost and they can be entered manually or the system can calculate the prices on the basis of costs allocated to the activities. You can assign single, many or no activity types to a cost center. 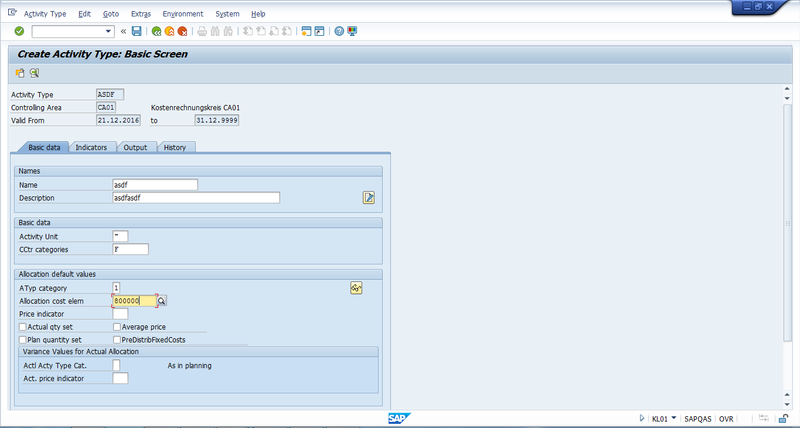 SAP activity types with similar activities can be grouped into activity type groups for internal reporting purposes. SAP activity type groups are used for assessment and planning and can be processed with a single business transaction in a cost center. Activity type groups can be created and administered in parallel. For example, you can create the same activity type group for planning and for actual results which can be used in variance analysis. You can always display and delete the activity types collectively with the transaction codes KL13 and KL14. The controlling area has been created and assigned to the company code. Secondary cost elements with cost element category 43 have been created. 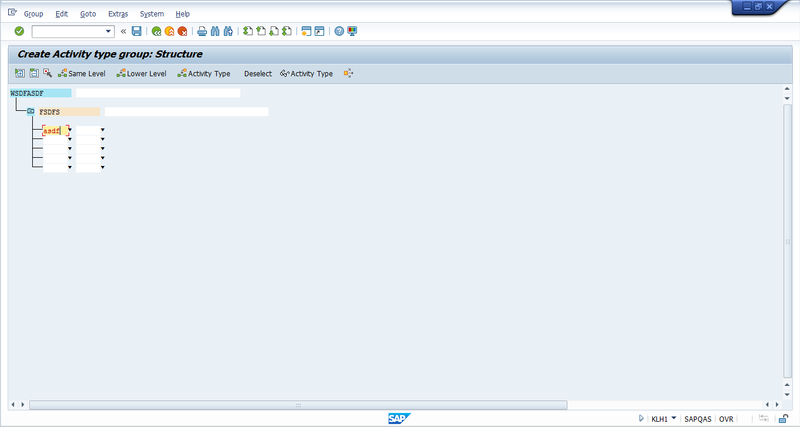 How to Create SAP Activity Type? Activity type that you want to create (it can be alphanumeric). Date from when it is valid and to the date until it will be valid. You can also enter a previous activity type in the “Copy from” section to copy all the details from the existing activity type. Please note that activity type categories determine how allocation of activity type is to happen in the SAP system. Next, you need to specify Allocation Cost Element and Price Indicator. Price Indicator is used for determination of how prices will be calculated for the activity type. These are of two types of price indicator: actual and planned. After finishing entering the data click on save button and a new activity type will be created. Please note that changes in master data of SAP activity types should always be avoided in the middle of a year and should be done only when it is absolutely necessary. These changes are normally done during the beginning of a new financial year to ensure consistency of data in the SAP system. How to Create SAP Activity Type Groups? Then, click on hierarchy icon or press F6 button on your keyboard. On the next screen you should define the structure of your activity type group. Under the main activity type group, you can create sub groups (if you want) or enter activity types that should be present in this group. As soon as you are done with the structure, click save button and the new activity type group will be created.